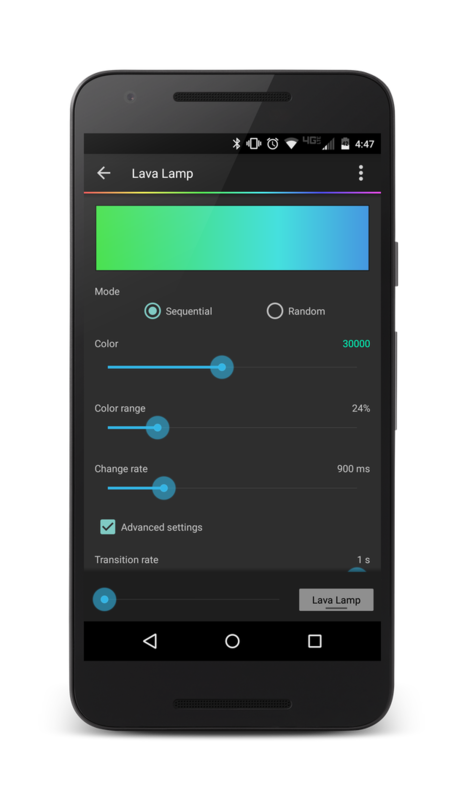 Intuitive design shows the lighting presets colors, making it quick and easy to understand exactly what every bulb will look like. Easy to use light controls that can adjust individual bulbs and groups. Create your own groups of lights to control a set of specific lights simultaneously. Bedroom, living room, kitchen, it is up to you! 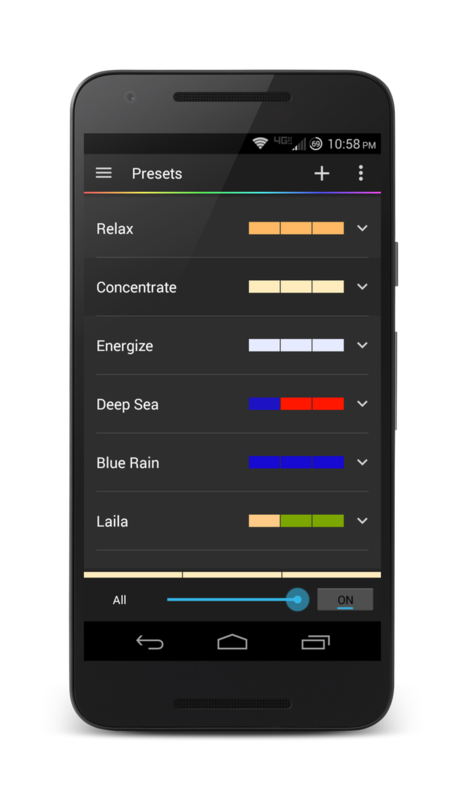 Quickly access controls to Light Presets, Bulbs, and Groups. 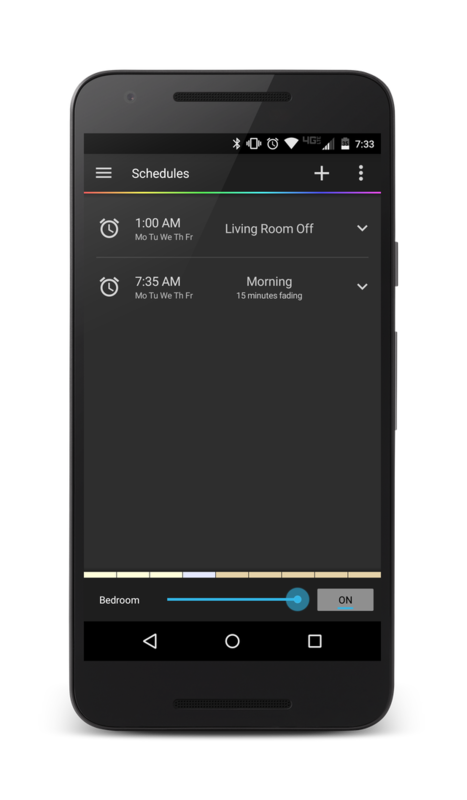 Create custom timers or alarms to turn lights on or off. Add a fade effect to gradually change colors and brightness over a peroid of time. * Turn on the lights slowly in the morning as you wake up. Your lights automatically turn on as you get home. Hue Pro turns your lights on as you connect to your home's wifi. Sooth your mind with lights that slowly change through vibrant colors. Make your music drive your lights. 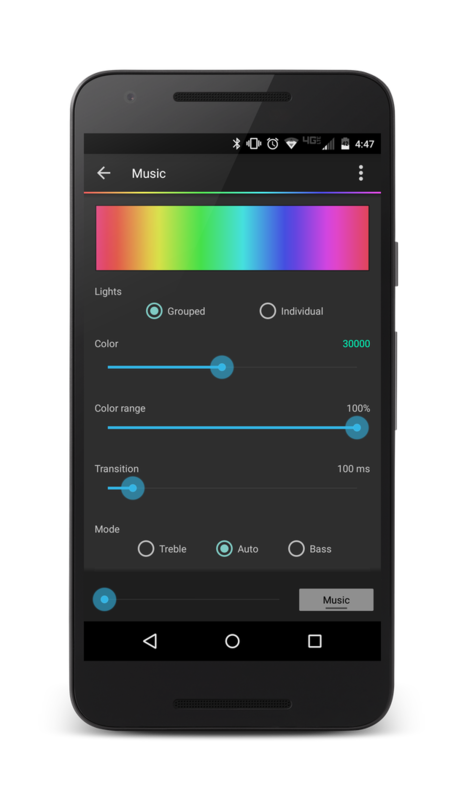 Your device listens to the music playing in the room and changes lights to the beat of the song. 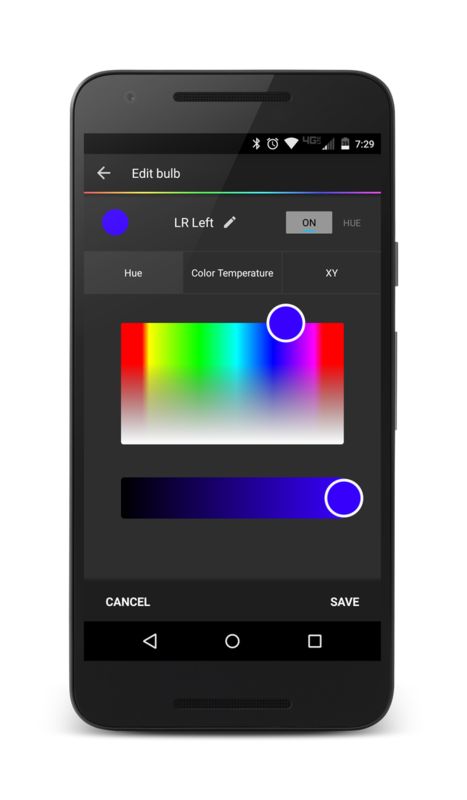 "Excellent App Hue Pro far outshines the first party hue app in functionality and ease of use. My favorite features are the deeply customizable widgets and the export/import feature for backing up and transferring my settings between devices." 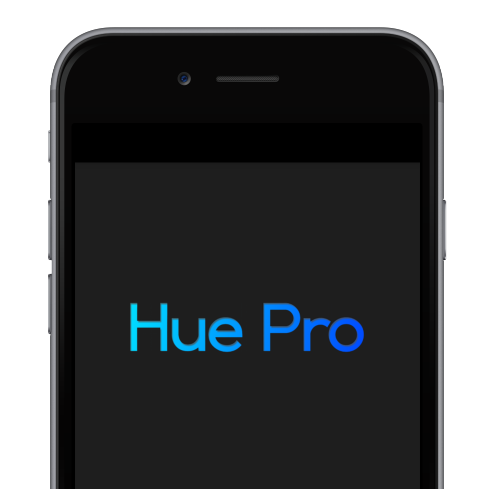 "Best Hue app available, hands down. This is by far the best hue app I have found. Easy to use, very customizable, great widgets, and awesome customer support."